The 1927 Yankees are flat out the greatest team to ever take the field! One of the key ingredients to that recipe was a young Lou Gehrig playing in his second full season. He raised some eyebrows in 1926 by hitting .313 and knocking in 109 runs, but the 1927 numbers were the stuff of legend. A .373 average, 47 home runs and 173 runs batted in to go along with 52 doubles seem more like a stat line for Babe Ruth! The offered photo from mid-season 1927 shows the powerful swing of this young prodigy with the epic tagline on the back "Watch your Laurels Babe, Lou's Getting Speedy". Crystal clear silver gelatin photograph shows the powerful swing of Gehrig during this iconic breakout season. 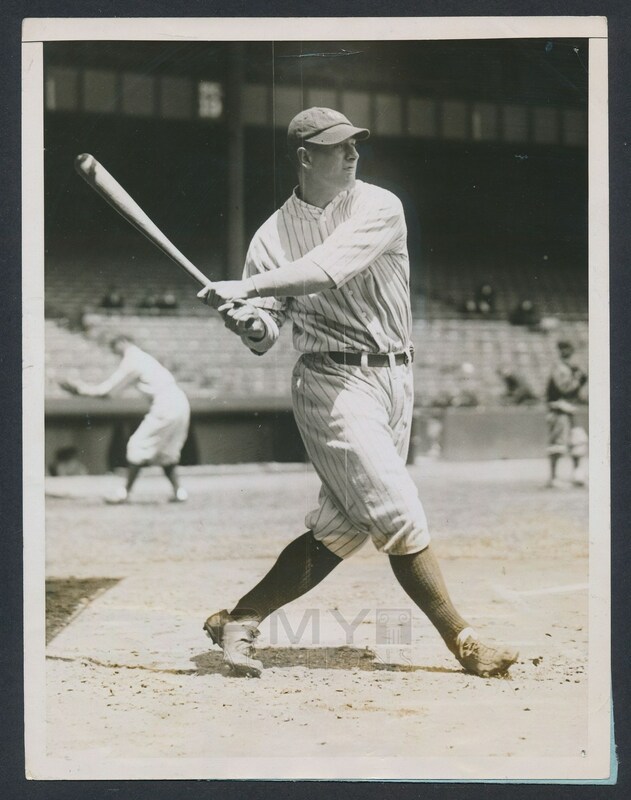 One of the best batting images of Gehrig we have ever offered and aside from a few minor creases and some pinholes to the right corners, this is an absolute stunner! 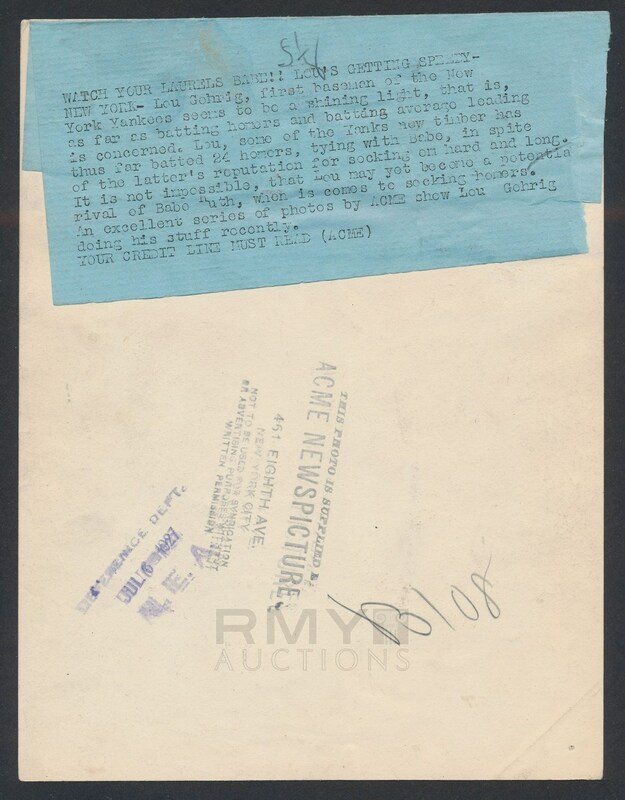 Issued by Acme and with full paper caption on the back, this is an investment quality Gehrig that is sure to excite even the most advanced collector. This photo originally sold in our June 2014 auction for $2988!